I have to say that seeing my first novel, The Ovum Factor, in print after months of writing, re-writing and more re-writing is an extremely satisfying experience. The disappointment from those initial rejection letters from literary agents and publishers seem like a lifetime ago. Feedback from my first hundred readers who were given advanced copy of the book has been extremely encouraging. Whether you care about the environment or just someone who enjoys an intelligent thriller, The Ovum Factor will appeal to you. Have you seen the video trailer for The Ovum Factor? If not, go to my website, http:www.theovumfactor.com. I think it should give you a good idea of the pace and the theme of the book. I did most of the initial writing of The Ovum Factor in Rio de Janeiro as well as the Amazon when I took a three-month sabbatical from my work and family in 2006. The images and experiences written into the plot are based on firsthand exposure to the jungles and rivers as well as visits to the Indians living there. All my life, I have been an ardent supporter of the environment. It saddens and angers me to see how our society has not taken good care of our planet, Earth. What kind of a world are we passing on to our children and grandchildren? The Ovum Factor is in the thriller genre. But I would more accurately describe it as a high concept eco-thriller. A highly entertaining suspense novel interwoven with environmental, moral and philosophical issues. I wrote The Ovum Factor to help remind readers that our future ultimately depends as much on protecting the natural world as its survival depends on us. 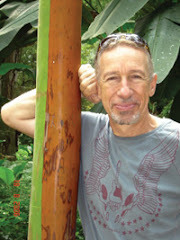 Debut eco-thriller writer, Marvin L. Zimmerman, shares his thoughts about his first novel,The Ovum Factor,and about the environmental issues which are close to his heart. He also discusses his upcoming new work as well as his observations in his global travel whilst conducting research for his novels. Writer, publisher,businessman, husband, father, son and world traveller. I have always loved to write,an interest that started in my youth. During much of my adult life, I channeled my energy to writing professional and technical subjects, although at the back of my mind, I always knew that I wanted to write novels one day. Last year, I decided it was time to cultivate this interest of mine. The result is my first novel, The Ovum Factor. I am passionate about a number of issues especially relating to the environment. I hope to educate and sensitize the reading public by telling them unforgettable stories that are enriched with well-researched science and facts woven into the story line. I also like to introduce in my novels fascinating and exotic places I have visited over the years.